Dwurms are the result of a failed venture into the designer pet market by the Cristix corporation. 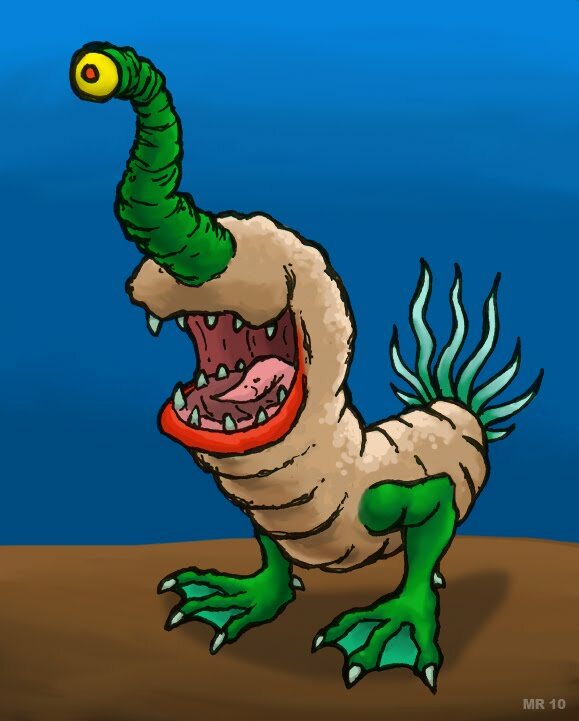 Created by genetically engineering a duck with lizard, bot fly, and deep sea worm genes. The resulting animal, while stable, was generally thought of as "ugly" by consumers. After widespread reports of Dwurms running away and migrating south for the winter they were pulled from the market.